With an improvement in the weather, everyone today made a big effort to clear the remaining topsoil off the largest of our trenches to reveal walls with coloured plaster work. This may be all we have time for, since there is more to be done on the main entrance and our new and confirmed discovery of a separate building of Roman baths. 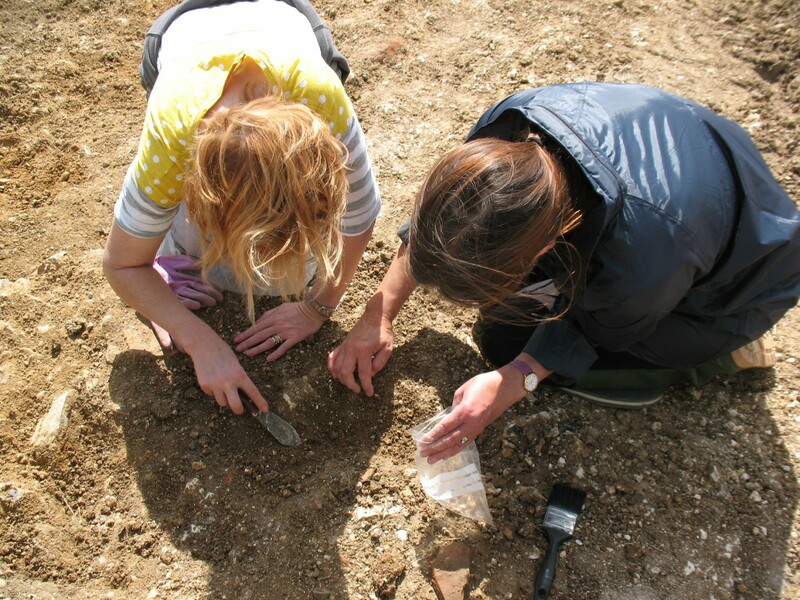 One find of about 50 tiny beads – probably bone or glass and another of some Roman snail shells – a great delicacy, have made us appreciate more the Roman appetite for beauty and food! There was some lovely pottery too albeit broken, from the Roman Bath house. We need plenty of muscle on Saturday and Bank Holiday Monday to get lower down in these trenches – so if you’re free please come along to the Black Barn or email joy@appleton.uk.net for more details. 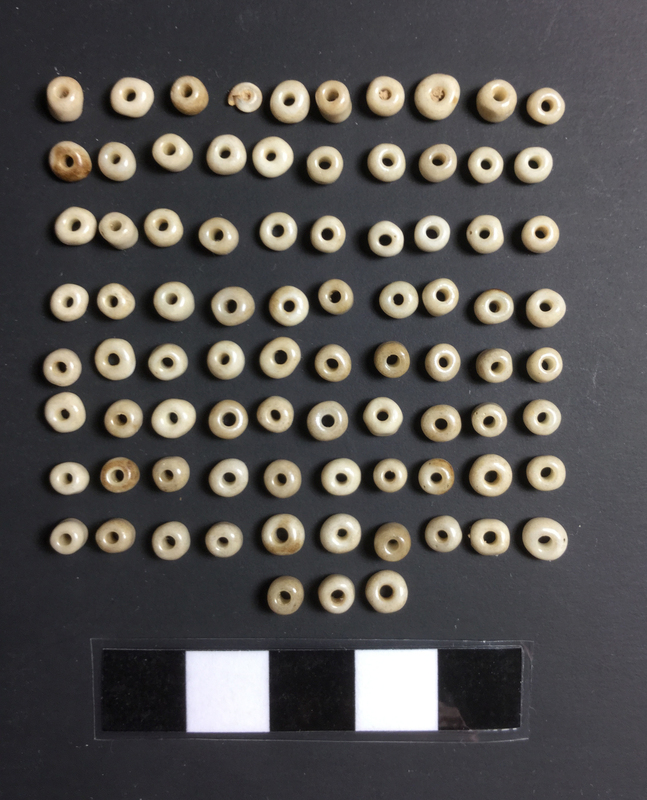 83 Beads probably made from bone or glass!